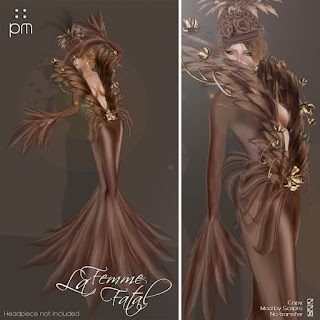 La Femme Fatal returns | ! *PurpleMoon Creations* ! Another very successful gown for you today! It was first successful in the Halloween version (La Mort Douce) and its variation for the holidays as La Femme Fatal. Now it's coming out in six beautiful shades more elegant and dangerous than ever! Find them in the Formal Section.